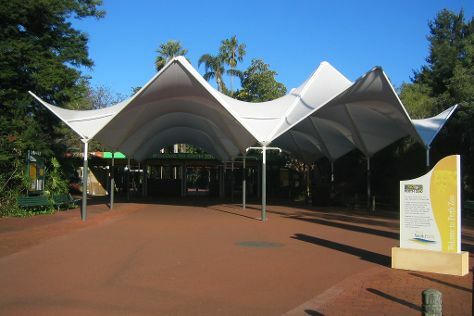 Kids will appreciate attractions like Perth Zoo and Cottesloe Beach. Venture out of the city with trips to Caversham Wildlife Park (in Whiteman), Dolphin & Whale Watching (in Mandurah) and Fremantle (Fremantle Prison & Fremantle Markets). Pack the 4th (Tue) with family-friendly diversions at Adventure World Perth Australia. Dedicate the 7th (Fri) to wine at some of the top wineries in the area. There's lots more to do: contemplate the waterfront views at Swan River, steep yourself in history at The Perth Mint, admire the natural beauty at Kings Park & Botanic Garden, and observe the fascinating underwater world at AQWA. To see ratings, more things to do, where to stay, and other tourist information, read our Perth attractions planning tool . If you are flying in from Malaysia, the closest major airport is Perth International Airport. In June in Perth, expect temperatures between 23°C during the day and 9°C at night. Finish up your sightseeing early on the 8th (Sat) so you can travel back home.